This quick and easy recipe was sent to us by Triathlete Jemima Cooper. She’s a self confessed flapjack fan and this is one of here favourite snacks. 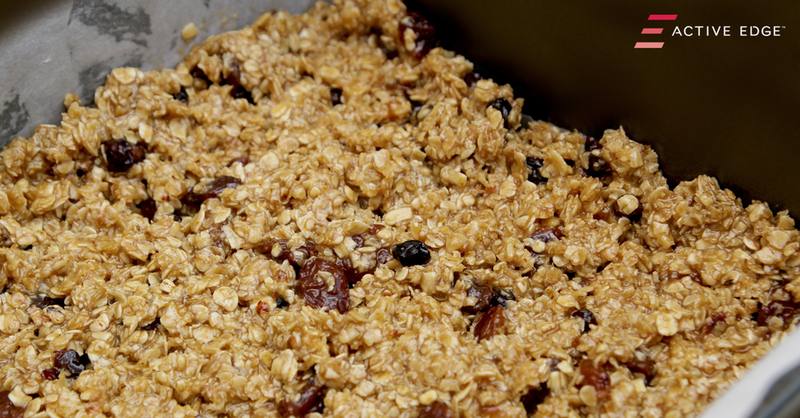 Combine oats, seeds and cherries in a large bowl. Melt the peanut butter, butter and syrup over a low heat And mix in with the mashed banana. Add the banana and butter mixture to the oats and stir until well mixed. Scoop into lined baking tray and press down firmly. Bake at 180C for 15 mins until golden. If your into Triathlon’s Jemima’s blog is a great read and full of useful information. Just click here to have a read yourself!